Everyone basically agrees that obesity has something to do with genetics. Obesity runs in families, and it’s not just because people in the same family tend to eat a similar diet. For example, studies on adopted children have found that the children have a BMI closer to their birth parents’ BMI than their adoptive parents’ BMI, even if they’ve never met their birth parents. Some of this is probably epigenetic: it’s about how a person’s existing DNA is modified by factors like their mother’s diet during pregnancy (you can learn more about epigenetics here). And then there’s another genome that isn’t yours at all: your gut microbiome is a thriving evolutionary environment that has a huge amount of say in your metabolism and your weight. But a sizeable chunk of obesity risk also seems to be genetically hard-coded in ways that don’t change regardless of environment. Are some people genetically wired to become obese? If so, is this dependent on a certain type of environment? Is it behavioral (dependent on hunger, which you could theoretically ignore) or metabolic (regardless of what you eat) or both? Here’s a look at what we know. It’s tempting to look for a gene that “causes obesity,” but this doesn’t make much sense if you’re talking about the rapid increase in rates of obesity since the 1970s. No gene could spread through the population that fast, even if it were really advantageous (which it obviously isn’t). There are a few genes that “cause obesity” like that, in the sense that people who have them will almost certainly become obese no matter what, provided they’re not actually starving to death. One example would be genetic disorders in leptin production or signaling. This study reviews the evidence for that type of genetic disorder, and it’s interesting to read, but these diseases are very rare, just like obese people were until 40 years or so ago. These simple genetic forms affect about 5% of people. What’s more common is a genetic pattern that makes people more vulnerable to developing obesity when combined with a sedentary lifestyle and a calorie-rich food environment. This is called “polygenic obesity:” obesity isn’t caused by one particular gene, but by a variety of different genes that all predispose the person to obesity in various different ways, especially if the person is living in a particular kind of environment. For example, one of these genes might give someone a higher-than-usual appetite, and another might give them a lower-than-usual metabolic rate. Neither is a guarantee of obesity on its own, but both of them could contribute to obesity especially in the modern food environment. The first one of these genes to be discovered was the FTO gene. Variations in the FTO gene may make people more vulnerable to obesity by increasing appetite – so if they’re in an environment where they can eat as much as they want, all the time, they’re likely to be heavier. Since then, many more genes have been associated somehow with obesity, more or less strongly. Other genes may contribute to the development of obesity-associated diseases like Type 2 Diabetes. Different genetic variations may also predispose people to metabolically healthy obesity, rather than the typical model with insulin resistance, inflammation, and diabetes along for the ride. It’s not always obvious how these genes actually make a person more susceptible to obesity. They might work by increasing appetite, decreasing metabolism, compromising insulin sensitivity, increasing susceptibility to inflammation, or other mechanisms. Each individual variation can only account for only a tiny fraction of obesity risk. FTO is the most powerful, and even that by itself explains 0.31% (0.0031, or 3.1/1000) of variation in BMI among different people. The real problem is not having one of these obesity-associated genes, but having a whole pile of them that add up to a major problem. It also gets even more complicated when you start talking about children. But the main idea is clear: obesity isn’t usually “caused” by one particular gene; it’s a pileup of multiple factors. For whatever reason, different populations and different individuals vary in their expression of obesity-associated genetic variations. And this can have a very strong effect on an individual person’s susceptibility to obesity. Variations in obesity-associated genes aren’t just individual. They occur at different rates in different populations. Pima Indians really got the short end of the stick: when they’re exposed to a typical high-sugar, high-fat, hyperpalatable Western diet, they become obese at much greater rates than other ethnic groups. But obesity-prone genotypes can occur in any population; obesity is obviously not a problem limited to one ethnic group. There are all kinds of theories about why this happened. Some researchers argue that populations at high risk of food shortage evolved a “thrifty gene” that let them survive famine by increasing their ability to gain fat. Other scientists are fans of the “drifty gene” hypothesis (the idea that genetic vulnerability to obesity comes from essentially random variations and not survival pressure). There are theories about selection based on immune function and pressures from infectious disease, and selection based on a sudden release from the pressure of higher-order predators, and a whole list of other hypotheses. And it’s not just a matter of white-knuckling constant hunger or constantly restricting yourself, either. It’s true that many people with obesity-related genes might have to pay closer attention to their diet and weight than others, but remember that these genes didn’t cause widespread obesity before the modern food environment. Before the 1970s or so, these genes didn’t make so many people obese. Presumably, this wasn’t because everyone before that time was deliberately starving themselves. The Pima Indians have large numbers of obesity-promoting genes, but they didn’t have high obesity rates until they started eating the modern diet. Obesity-related variants don’t necessarily cause obesity independent of diet and lifestyle. What changed? Definitely not just “processed food;” we had that in the 70s. 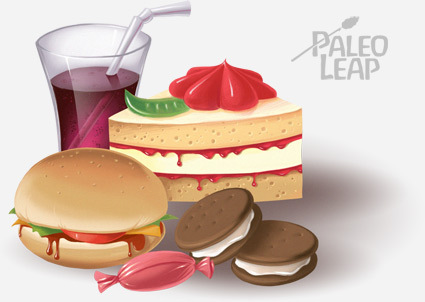 Maybe it’s the sheer amount of hyper-processed foods today that compound the problem of a higher appetite. Maybe it’s not about diet so much as circadian rhythm problems (nobody was up until 2am on their smartphone in the 70s). In any case, it suggests that “obesity genes” aren’t destiny – to cause obesity, they interact with diet and lifestyle factors that you can change. For example, someone with a gene that predisposes them to insulin resistance and metabolic problems might do very poorly on a carb-heavy diet, but they might not see any ill effects from that same gene on a lower-carb diet. A more ancestral-type diet and lifestyle (enough sleep, stress management, etc.) is good for managing appetite and metabolism. It might be a good choice for someone who has a lot of these genes, and might make it unnecessary to keep up an unsustainably extreme level of restriction. Then there’s epigenetics – you can actually change your gene expression, even if you can’t change your genes. For example, some research has found that physical activity can modify the relationship between the FTO gene and obesity. A very few people have genetic problems that will cause obesity under almost any circumstances. But for most people, the genetic contribution to obesity is a whole pile of genes related to appetite, metabolism, insulin sensitivity, and other factors. Those genes might not cause obesity under most normal human living conditions, but they make people more vulnerable to obesity in the crazy modern food environment. But “more vulnerable” isn’t a life sentence, and it doesn’t necessarily mean that people with genetic susceptibility will inevitably become obese (or inevitably stay that way). It might be more important for those people to pay attention to diet and lifestyle, especially if they’ve already developed obesity and they’re trying to lose weight or maintain a loss. If this is you, you might really benefit from experimenting to find the diet that works best for your particular mix of genes, weight history, metabolic health, and preferences. But for most people, genetic variation alone isn’t destiny as far as weight is concerned.